CLEAR VILLAGE provides creative regeneration services to social landlords, local councils, community groups, funding agents and other organisations that work with communities. We help our partners develop and implement community-scale strategies for regeneration. We work hard to understand community challenges and build on existing assets. By using participatory design, we ensure that solutions are not just developed for communities but also by communities. To identify key challenges and opportunities within communities. 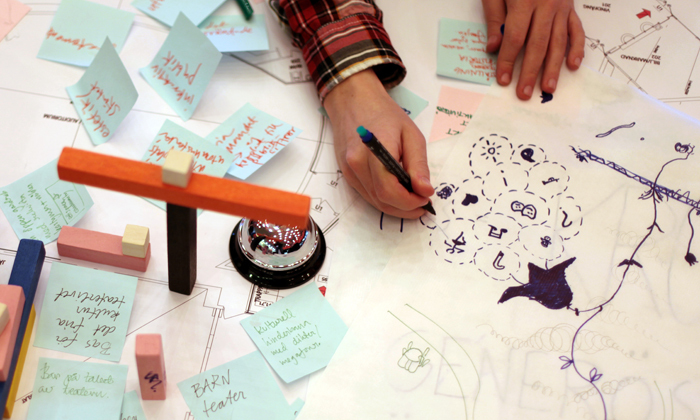 To develop collaborative solutions through participatory design. To create new opportunities for learning and capacity building. To turn empty or underused spaces into vibrant community assets. To develop concrete intervention plans based on community needs. To determine long-term strategies for community improvement. "The Small Works programme is a good idea to bring and gather people together for sharing ideas, meeting neighbours, knowing each other. It has benefited people with mental health issues to bring them better lives, with help in stepping back into the working world." "It has been a pleasure working with the hard-working and dedicated Clear Village team on the High Street Regeneration Toolkit. I am confident that we have ended up with and excellent product." "Thanks to you all for an amazing creative experience. You have shown Tottenham how to involve people in deciding the future of their community. Some day soon we will show you the physical legacy of your work." "It has been a pleasure working with Clear Village on the development of a food growing project at Bedfords Park Walled Garden. Their innovative and dynamic approach to involving the local community and progressing the project has been a breath of fresh air."